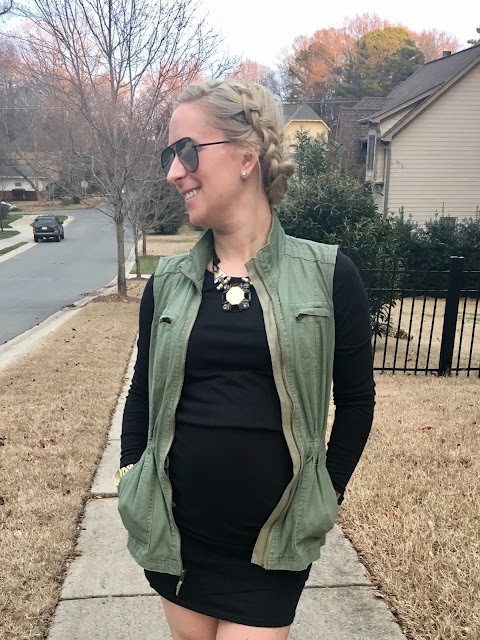 If you need me this pregnancy, you'll likely find me in a body-con dress (mostly because I've learned that leaving something to the imagination leads to a larger-than-reality-imagination), a vest, and comfy (yes you read that correctly) kicks. 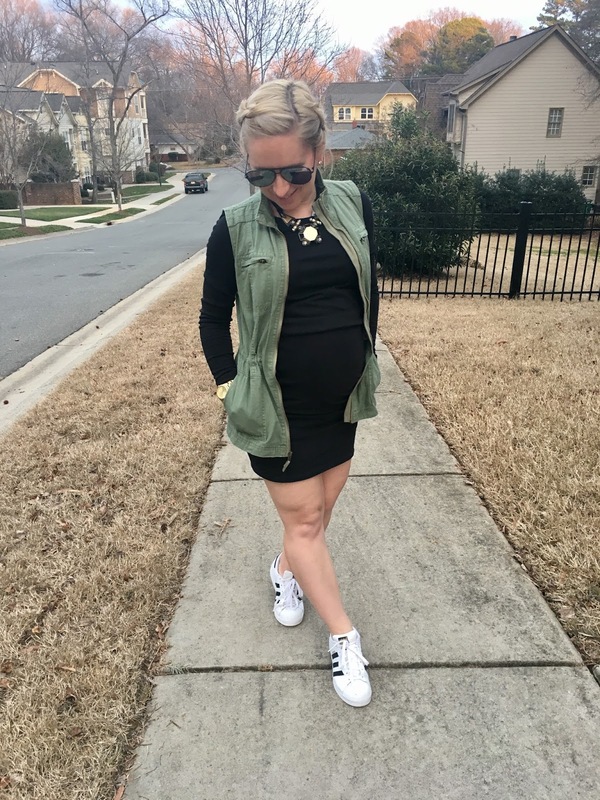 This dress is great, pregnant or not. 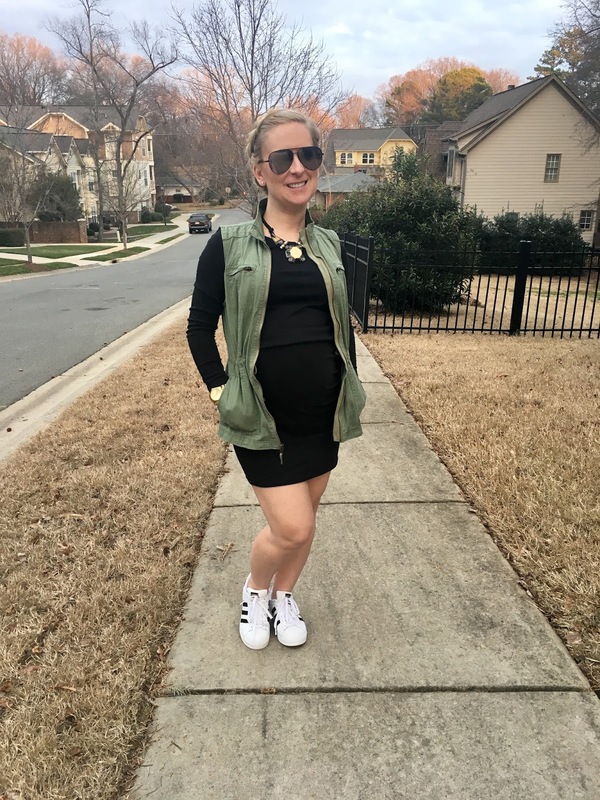 It's a non-maternity dress that serves double-duty in my closet at the moment.